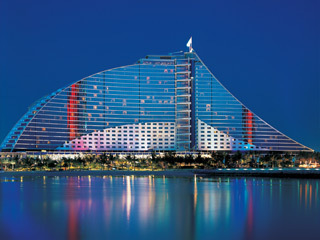 Jumeirah Beach Hotel's ingenious design provides a sense of endless space and light, ensuring every one of the 598 luxury rooms and suites enjoys an unhindered view of the sea through floor to ceiling windows. 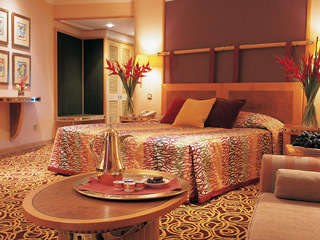 Exceed your expectations with the added comfort of accommodation that starts from 50 sq. 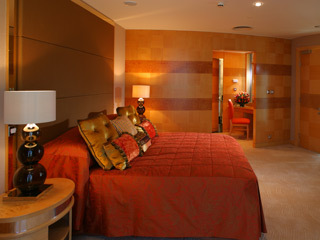 metres of luxury rooms. Revel in the fine fabrics, hand crafted furniture and luxury walk-in shower. 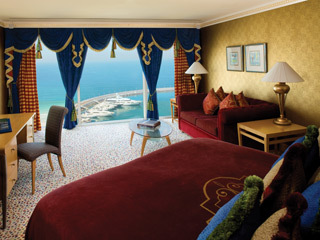 With breathtaking views of the Arabian Gulf, spacious seating area and walk-in shower, the deluxe room is your perfect holiday choice. Area - starts from 50m² for added comfort. Occupancy - maximum 2 Adults and 2 Children below the age of 12, or 3 Adults. 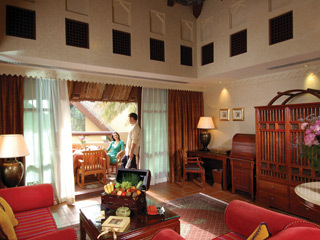 Offering everything of a Deluxe Room along with your own private balcony. Offering spectacular views and exclusive access to the dedicated Club Executive lounge, you can be assured of excellent service and privacy. Relax in the privacy of your very own sun terrace, dine alfresco or entertain in the sitting/living area. Relax in privacy on your very own sun terrace, dine alfresco or entertain in the separate living/dining area. Complimentary services: Guests have access to the Club Executive Lounge and breakfast is served in either La Parrilla, The Colonnade or in the comfort of your room. Guests with children have access to the Premium Leisure Club and breakfast is served in either the Premium Leisure Club, The Colonnade or in the comfort of your own room. Whether you seek an intimate atmosphere for two or generous space for the family, the 2 separate bedrooms, kitchenette and private terrace will exceed your expectations. Occupancy - maximum 4 Adults and 2 Children below the age of 12, or 5 Adults. Complimentary services: Guests have access to the Club Executive Lounge and breakfast is served in either La Parrilla, The Colonnade or in the comfort of your room.Guests with children have access to the Premium Leisure Club and breakfast is served in either the Premium Leisure Club, The Colonnade or in your room. Whether you chose to rest or entertain, space and comfort will never be a problem with your own private terrace and views over the Arabian Gulf, spacious living & dining area, kitchenette and 3 separate bedrooms. Complimentary services: Guests have access to the Club Executive Lounge and breakfast is served in either La Parrilla, The Colonnade or in the comfort of your room. 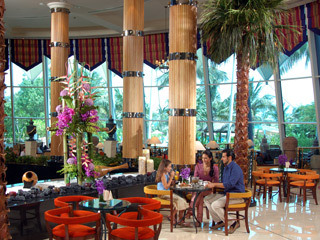 Guests with children have access to the Premium Leisure Club and breakfast is served in either the Premium Leisure Club or The Colonnade. The large sitting room, childrens bedroom and private terrace with direct access to the beach make this a perfect retreat for the family holiday. Complimentary services: Guests have access to the Club Executive Lounge and breakfast is served in either La Parrilla, The Colonnade or the comfort of your room. Guests with children have access to the Premium Leisure Club and breakfast is served in either the Premium Leisure Club, The Colonnade or in the comfort of your room. Located across two floors with separate living, dining and sleeping areas, you may be forgiven for feeling perfectly at home. Complimentary services: Guests have access to the Club Executive Lounge and breakfast is served in La Parrilla, The Colonnade or the comfort of your room. Guests with children have access to the Premium Leisure Club and breakfast is served in either the Premium Leisure Club, The Colonnade or the comfort of your room. 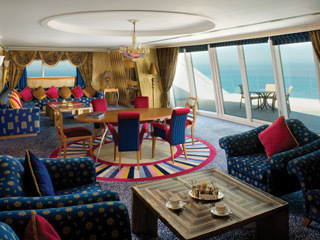 The Royal Suite welcomes you to unsurpassed style with its private bar, dining area and sun terrace enjoying views across Dubai. Complimentary services: Guests have access to the Club Executive Lounge and breakfast is served in La Parilla, The Colonnade or in the comfort of their room. 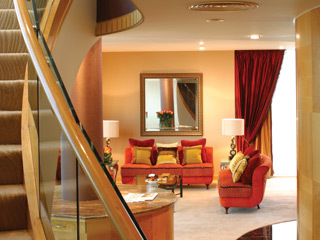 Guests with children have access to the Premium Leisure Club, The Colonnade or in the comfort of their room. 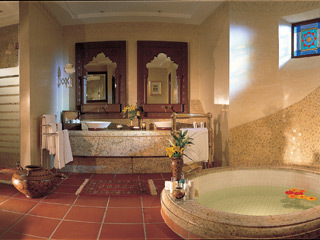 Cool off in your very own plunge pool, discretely tucked away in each villa's private garden. 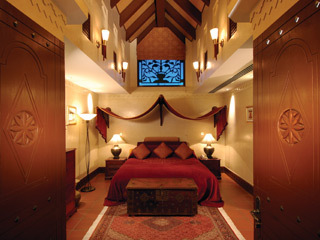 With your very own living area and luxurious Bedouin style bedroom, you will never want to leave this private hideaway. Occupancy for One Bedroom Villa - maximum 2 Adults and 2 Children below the age of 12, or 3 Adults. 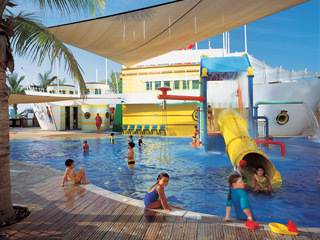 Keep your kids entertained this summer and experience leisure facilities that are quite simply second to none. Learn a new game or simply practice your favourites. 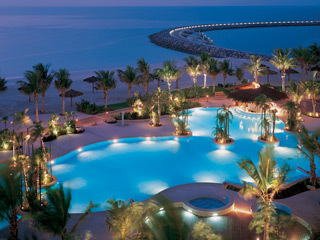 You can enrol for tennis or golf lessons, enjoy diving by the coral reef, - the choices are endless. For the most avid sports fanatics, the highly trained team at The Pavilion Marina and Sports Club will guide you through your more adventurous water explorations. Whatever your interests or level of fitness, Jumeirah Beach Hotel has tailor made programmes and a vast range of offers to suit your individual needs. Instruction by fully qualified staff is available in many activities, including tennis, squash and water sports. 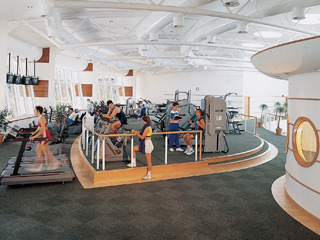 Fitness classes - Yoga, Karate, RPM, BodyPump, BodyCombat and BodyBalance. The family adventure playground features raised walkways with a variety of play features including swings, slides, climbing structures, tunnels and rope walkways. All equipment is padded for maximum user safety and child friendly use. This area is open from 11:00 to 22:00 until further notice. Enjoy 900m of private beach, offering beach butler service alongside the marina with a comprehensive range of water sports. 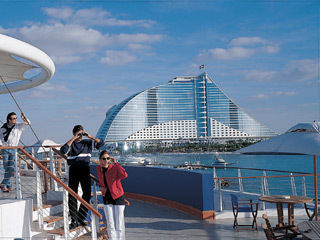 You can also enrol for classes or seek guidance from the team of resident experts from the Royal Yachting Association. Splash into something invigorating and choose to join in the Swimming Lessons instructed by Lisa Hancox, our new Swim Coach here at The Pavilion. She has been teaching since 1996 and is qualified as an A.S.A. Instructor with experience in Europe, USA, Australia and Oman. She has been swimming since the age of 4 and has represented her school, club and country. Family pool, surfaced in synthetic rubber, walk in 'beach' effect, rock wall with water slide. Children's pool, shallow, rubber surfaced, shaded, contains water play equipment, next to Sinbad's Kids Club. One of the world's most technologically advanced water parks, is the perfect location for leisure, as also special events such as product launches, business functions and employee incentive schemes. A playground that is guaranteed to offer pleasure, Wild Wadi is a delightful break for both the young, and the young at heart. 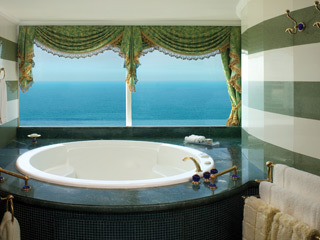 After a long day soaking up the rays, why not treat yourself to a relaxing Jacuzzi, massage or beauty regime at Jumeirah Beach Hotel's Health Suite. Peruse the Colonnade of assorted shops for branded accessories and clothes or perhaps introduce your children to Sinbad's Kids Club dedicated exclusively for them. A combination of various professional massage treatments and facials such as Aromatherapy, Reflexology, Shiatsu, Swedish and Sports are available to soothe, stimulate, rest, refresh or heal you. Open from 08:15 to 22:30. Guests with children staying in one of our Club Executive Rooms, Suites or Villas are entitled to complimentary use of the Premium Leisure Club. 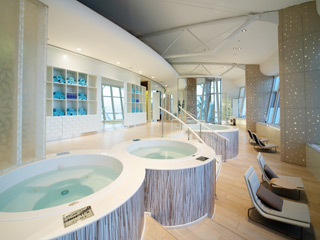 A family oriented concept built over two floors, the lower level of the Club features a dedicated Reception, Children's Computer Room, Internet room and spacious outdoor seating. 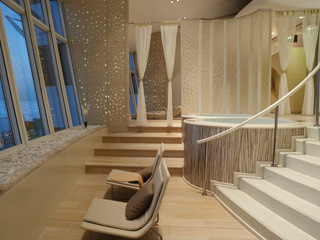 The upper level hosts a designer bar and male/female shower and changing rooms. A clubhouse designed like a ship and located adjacent to the Family Pool, Sinbad's Kids Club offers a varied programme of activities for children aged between 2 and 12, under the supervision of very highly trained and qualified staff, from 09:00 to 21:00 everyday. After 12:00 pm, children under 5 must be accompanied by an adult or a babysitter can be arranged. Babysitting services available 24 hours/day. If you are constantly searching for the ultimate adrenaline high... you should be a PADI Diver. Whether exploring the secrets of a sunken wreck here in the Arabian Gulf, exploring remote Islands off the Omani Peninsula, or experiencing close encounters with fascinating species in exotic corners of the globe, you'll find adventure on every dive and meet others who share your quest for unending excitement. 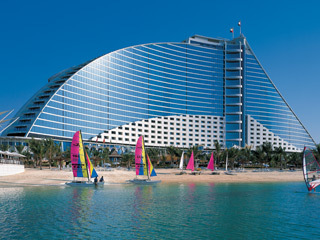 The Jumeirah Beach Hotel, guests can choose from a vast range of culinary delights. 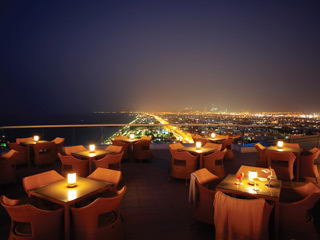 From fun-dining to fine dining - dining whilst being entertained or dining al-fresco with views of the Arabian Gulf. From Argentinean to Italian - Asian to North American - The Jumeirah Beach Hotel holds a vast culinary experience to satisfy the most demanding of tastes. Al Khayal: Take a culinary journey through the Middle East with Al Khayal, featuring a rich variety of regional cuisine and specialities from Lebanon. Cuisine: Lebanese Timings Dinner: 19:00 - 02:00 Location Jumeirah Beach Hotel - First Floor Menu: a la carte Dress Code: Smart casual Family Children are welcome and receive a 50% discount on the adult menu, if aged between four and twelve years. Children under the age of four dine for free. A kid's menu is also available. Beachconbers Restaurant: The spirit of island dining is captured perfectly at the Beachcombers restaurant. 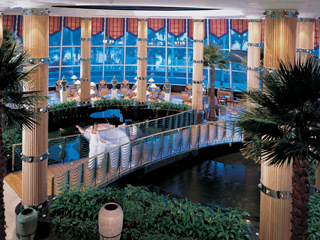 Situated by the beach, it offers South-East Asian cuisine prepared by ethnic chefs of Malaysia and Thailand. 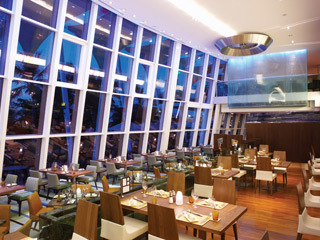 Cuisine South-East Asian Timings 08:00 - 00:00 Happy Hour: 17:00 – 18:30 Location Jumeirah Beach Hotel, Beachside Menu: à la carte menu for lunch, Buffet at dinner Dress Code: Casual Family Children are welcome and receive a 50% discount on the adult menu, if aged between four and twelve years. Children under the age of four dine for free. A kid's menu is also available. Der Keller: Der Keller is a true reflection of a stylish German restaurant. Discover modern, lighter German dishes marrying traditional ingredients, modern recipes and cutting edge presentation. The variety of dishes ranges from healthy salads to trendy specialities, along with a wide selection of vegetarian options. Der Keller is deliciously German. Cuisine German Timings Dinner 18:00 – 01:00 Happy Hour: 18:00 – 19:00 Location Jumeirah Beach Hotel First Floor Menu à la carte Dress Code Smart casual Family Children are welcome and receive a 50% discount on the adult menu, if aged between four and twelve years. Children under the age of four dine for free. A kid's menu is also available. 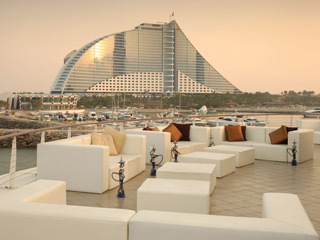 Dhow & Anchor: The Dhow & Anchor is a traditional English pub and restaurant with an outdoor terrace. 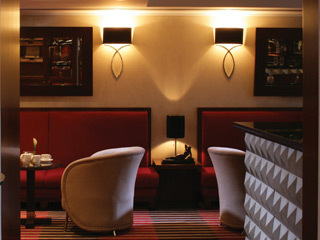 Enjoy traditional British fare while chatting with friends in a timeless and cozy atmosphere. Cuisine British Timings: 12:00 – 01:00 Happy Hour: 18:00 – 19:00 Location Jumeirah Beach Hotel Ground Floor Menu à la carte Dress Code Casual Family Children are welcome and receive a 50% discount on the adult menu, if aged between four and twelve years. Children under the age of four dine for free. A kid's menu is also available. Go West: Journey across America and taste the variety of true home-style cooking from the East to the West Coast. With ‘wagon’ seating you really get to experience real Tex-Mex dining with the family. Taking centre stage is a fantastic band performing popular tunes that will make you want to dance the night away. Cuisine Tex-Mex Timings Dinner: 18:00 – 01:00 Open for lunch on Thursday and Friday Happy Hour: 18:00 – 19:00 Location Jumeirah Beach Hotel, Ground Floor Menu à la carte Dress Code Casual Family Children are welcome and receive a 50% discount on the adult menu, if aged between four and twelve years. Children under the age of four dine for free. A kid's menu is also available. 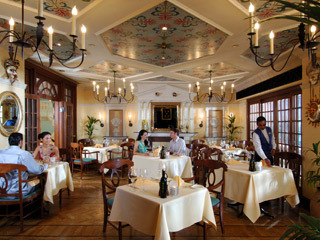 La Parrilla Argentina: The finest Argentinian steaks and seafood flambéed at your table are only a few options that await to tantalize your appetite. This authentic Argentinian restaurant with culinary delights of the Pampas is an experience on its own. Cuisine Argentinian Timings Dinner 19:00 – 01:00 Location Jumeirah Beach Hotel 25th Floor Menu à la carte Dress Code Smart casual Family Children are welcome and receive a 50% discount on the adult menu, if aged between four and twelve years. Children under the age of four dine for free. A kid's menu is also available. 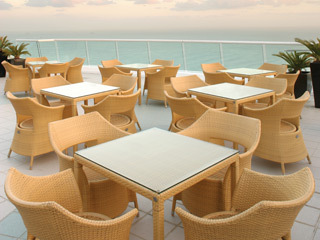 Ocean Blue: Beachfront restaurant with terrace seating offering light meals and refreshments. 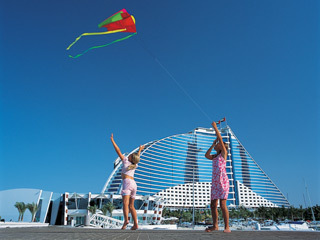 Type Al Fresco Timings 10:00 – 21:00 Happy Hour: 17:00 – 18:30 Location Jumeirah Beach Hotel Beachside Menu à la carte Dress Code Casual Family Children are welcome and receive a 50% discount on the adult menu, if aged between four and twelve years. Children under the age of four dine for free. A kid's menu is also available. The Apartment: The Apartment is an elegant and contemporary home away from home. It features a restaurant, lounge bar, music room and a cellar. 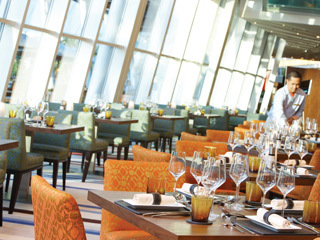 Enjoy the modern light approach to European traditional cuisine, with a twist. 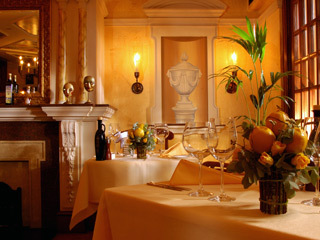 This culinary experience is prepared for you with passion. Healthy, light cooking, using only the freshest seasonal produce, makes for a flavoursome meal. After dinner, enjoy some modern hits by resident DJ. 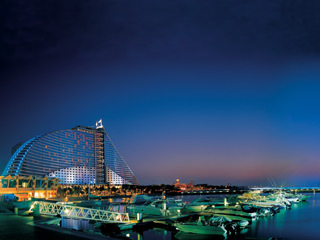 Cuisine Contemporary European Timings Dinner: 19:00 – 01:00, Music Room: 21:00 – 02:00 Location Jumeirah Beach Hotel, Ground floor (entrance next to Go West) Menu à la carte Dress Code Smart casual Family Children below the age of 13 are not allowed in the Apartment and between the ages of 13 - 21 years, they must be accompanied by an adult. Uptown: Step into the funky tempo of Uptown, a stylish bar on the twenty-fourth floor showcasing spectacular views of Dubai's skyline. Signature Drinks. 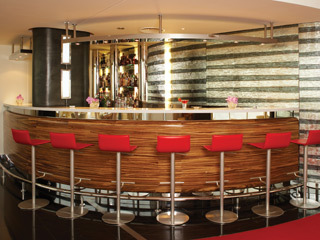 Fine selection of international cocktails and mocktails. 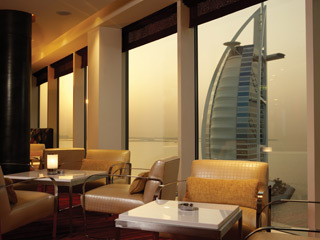 Type Cocktail Bar Timings 16:30 - 02:00 Afternoon Tea: 16:30 – 18:00 Location Jumeirah Beach Hotel 24th Floor Menu Drinks & light fare Dress Code Smart casual Family Persons under the age of 21 are not permitted in the Uptown bar. Waterfront: The Waterfront truly lives up to its name. Located on the ground floor of The Pavilion Marina & Sports Club, the Waterfront has beachfront views and an outdoor dining area, serving fresh fruits, juices and a range of healthy options. A full menu is available. Cuisine Healthy Choice Timings Saturday to Wednesday 8:00 – 22:00 Thursday and Friday 07:00 – 22:00 Happy Hour: 5:00pm – 6:30pm Location Jumeirah Beach Hotel The Pavillion Menu à la carte Dress Code Casual Family Children are welcome and receive a 50% discount on the adult menu, if aged between four and twelve years. Children under the age of four dine for free. A kid's menu is also available. Rebirth and discover a new world on your special Birthday occasion! Celebrate in style with in A World of Cuisine, at Jumeirah Beach Hotel, with a choice of creative suggestions tailored just for you! 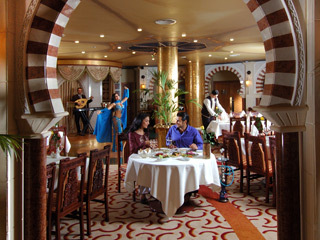 Al Khayal - Delight in Lebanese tradition at Al Khayal and receive shisha, round of soft drinks and cake, with our compliments. Beachcomber - guarantees you a verandah table and a bouquet of tropical flowers for the ladies or a South East Asian entree platter for two to share. Carnevale - Celebrate Italian style at Carnevale and receive a bottle of Italian wine or complimentary dessert with sparklers. Villa Beach - At Villa Beach receive a complimentary bottle of bubbly with your celebration dinner. 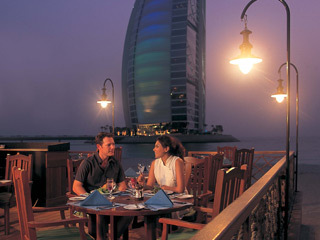 Or have a romantic evening with the one you love with moonlight dining on the beach, tailored just for you. Conditions apply to bookings: Please ensure you bring along proof of your birthday to benefit from these birthday celebrations. The above Exclusively Special Rates are inclusive of breakfast (Bed & Breakfast Basis) or Breakfast & Lunch or Dinner(Half Board Basis), taxes and Services charge . Check in time is 15.00hrs and check out time is 12.00noon. 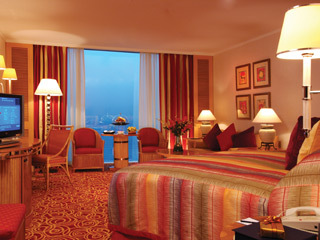 Early check in and late check out is strictly subject to availability and charges are applicable as per hotel policy. 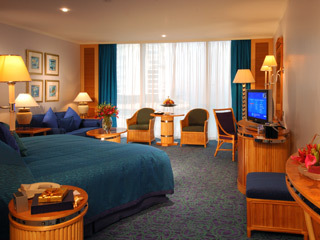 Early check in must be booked one day in advance and paid at 100% of the room rate. 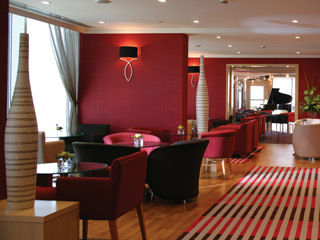 Families with children have access to Premium Leisure Club Lounge. 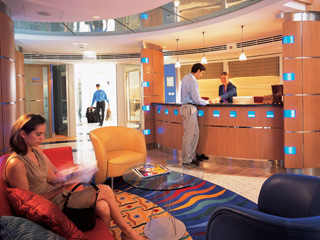 Adults from the age of 16 years have access to Club Executive Lounge. 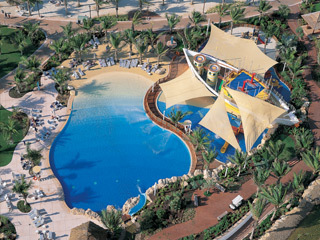 Cancellation From 35 To 0 Days prior to arrival will be charged at 100 %. Cancellation From 21 To 0 Days prior to arrival will be charged at 100 %. Cancellation From 3 To 0 Days prior to arrival will be charged at 100 %. to be made subject to availability and rate at that time.